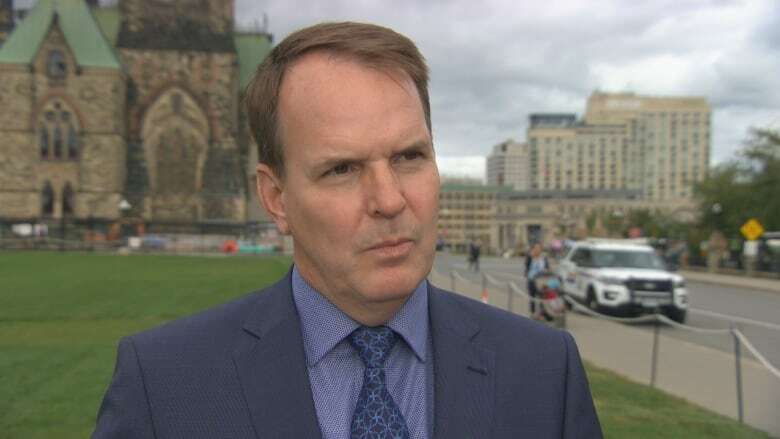 A Liberal MP says his party believes the SNC-Lavalin is "entitled" to a deferred prosecution agreement — a legal mechanism that would allow the Quebec engineering firm to avoid criminal prosecution. "Our belief is that this company is one that is, like its competitors around the world, entitled to a deferred prosecution arrangement, like they would be able to have access to in the U.K.," Steven MacKinnon, parliamentary secretary to the minister of Public Services and Procurement, told CBC News's Power & Politics today. "The government's adopted approach on this is one that has favoured jobs, it's one that has favoured pensioners, supply chains and a major Canadian company - all innocent victims of some corrupt management maybe a decade ago." The Gatineau MP was speaking in the immediate aftermath of Jane Philpott's stunning resignation from cabinet earlier today. In a letter to the prime minister, the now former Treasury Board president said she's lost confidence in the way the Trudeau government has handled the growing SNC-Lavalin scandal. Last week, former attorney general Jody Wilson-Raybould told a Commons justice committee she faced heavy political pressure and veiled threats from top Liberal officials who wanted her to allow SNC-Lavalin to avoid a trial on bribery charges. SNC-Lavalin is facing corruption charges over contracts in Libya and was lobbying for a deferred prosecution agreement (DPA) as an alternative to criminal prosecution. DPAs allow companies to avoid criminal prosecution by paying hefty fines and, in some cases, agreeing to outside monitoring. During her testimony, Wilson-Raybould, who resigned from cabinet last month, recounted how Kathleen Roussel, the director of the Public Prosecution Service of Canada (PPSC), let her know in early September 2018 that she was rejecting the company's request to negotiate a deferred prosecution. MacKinnon pointed to legislation that allows the attorney general to overturn a decision made by the director of public prosecutions. "The disagreement goes to how you see how Canada ought to approach major economic questions like the SNC-Lavalin issue. Do we do it like our OECD partners, do with these deferred prosecution arrangements, that have been widely discussed? Or do we do it with a ... perhaps more rigid approach?" Deferred prosecution agreements ​became law in Canada in September of 2018. The SNC-Lavalin criminal case is now at the preliminary hearing stage. The company has pleaded not guilty.